The City of Chester, S.C. is requesting sealed PROPOSALS FOR THE LAWN CARE OF THE EVERGREEN CEMETERY, LOCATED ON CEMETERY STREET, FOR A PERIOD OF 7 MONTHS. The cemetery is situated on over 42 acres of land with over 6,000 marked graves. The lawn care includes mowing, trimming, blowing of cut grass from cemetery streets, cleanup, litter removal, and fire ant treatment. The Contractor must carry the required amount of Commercial General Liability and Workers Compensation coverage. Contact City Administrator Stephanie Jackson at sjackson@chester.sc.gov for bid documents. Sealed bids will be received by the City of Chester at 100 West End St., Chester, S.C. until 2:00 p.m. on April 29, 2019. The City of Chester, SC is requesting SEALED BIDS FOR THE DEMOLITION AND REPLACEMENT OF APPROXIMATELY 2700 LF of CHAIN LINK FENCE AND ASSOCIATED GATES AROUND JOE COLLINS STADIUM. The Project consists of the replacement of approximately 2700 LF of chain link fence and associated gates around the Joe Collins Stadium, 110 Forrest Avenue, Chester, S.C. The Issuing Office for the Bidding Documents is: Keck & Wood, Inc., 300 Technology Center Way, Suite 400 Rock Hill, SC 29730, (803) 620-1300. Contact: Daniel Wallace, bids@keckwood.com for bid documents. Prospective Bidders may examine the Bidding Documents at the Issuing Office on Monday through Thursday between the hours of 8:00 AM to 5:00 PM and may obtain copies of the Bidding Documents from the Issuing Office as described above. Bids will be received for a single prime Contract. Bids shall be on a unit price basis. A non-mandatory pre-bid conference will be held on Thursday, April 4th at 10:00 AM at Chester City Hall at 100 West End Street, Chester, SC 29706. Attendance is not required but is encouraged. The Sealed Bids will be received by City Administrator Stephanie Jackson at the City Hall at 100 West End Street, Chester SC 29706, until 2:00 PM local time on April 25, 2019, at which time the Bids received will be publicly opened and read. 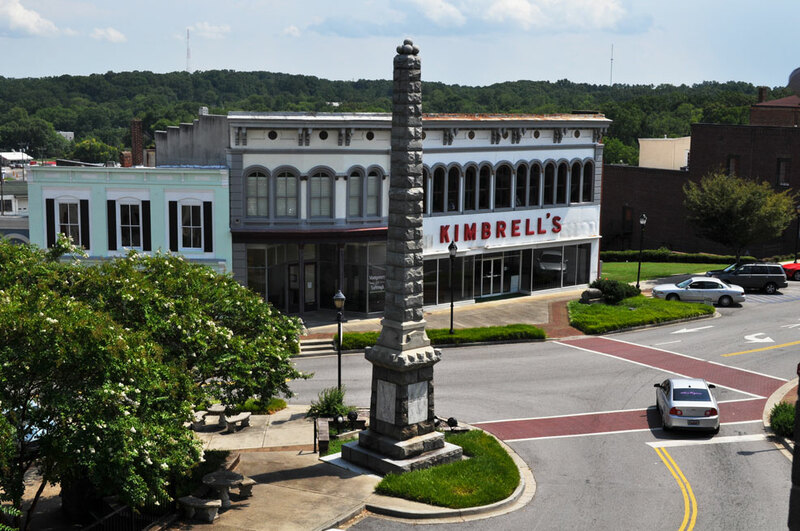 The City of Chester is requesting sealed PROPOSALS FROM GENERAL CONTRACTORS TO PROVIDE ROOF REPLACMENT AND STRUCTURAL REPAIRS for the CHESTER CITY HALL, LOCATED AT 100 WEST END STREET, CHESTER, SC 29706. This building is historic. It is mandatory that all Contractors who intend to submit a bid shall provide all materials requested in solicitation. All qualifying contractors must also meet provisions of the South Carolina Contractor’s Licensing Law (South Carolina Code of Laws as amended on April 1, 1999, Chapter 11, Section 40-11-10 through 40-11-428). City of Chester’s consulting A&E firm, MEADORS INC., will manage this project. Please contact City Administrator Stephanie Jackson for additional project information at sjackson@chester.sc.gov. The City of Chester, South Carolina is soliciting proposals from interested independent contractor to furnish unitized meals to be served to children participating in the DOE Summer Food Service Program, SFSP, lunch and breakfast. Sample lunch/breakfast due at bid opening. SEALED PROPOSALS will be received at City Hall, 100 West End Street, Chester, SC until 1:00PM, May 22, 2017. Sample of lunch and/or breakfast required at opening. SUBMIT an original and one (1) copy of the complete proposal. A company representative authorized to commit the Offer or submitting the proposal shall sign the Coversheet and provide the information requested on Page TWO of the Coversheet. The proposal will be considered invalid if no signature is provided on the Coversheet.All proposals must be in a sealed envelope marked 2017 SFSP Lunch/Breakfast, RFP No. 2017-001. Contact Peggy Johnson for more information: pjohnson@chester.sc.gov. The Kitchen Committee has decided to move the deadline for bids for both RFP 2017-003 and RFP 2017-004 to SEPTEMBER 18, due to weather inclement.